The Westover Family Ranch was originally founded north of Rexburg, Idaho in 1890 by William and Ruth Westover. William Ruthven Westover was born of Mormon pioneer parents who came west in the 1840s and 1850s. 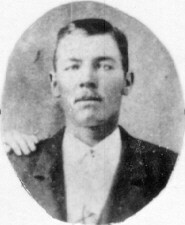 His father was Edwin Westover, who came to Utah in Brigham Young’s second wagon train west in 1848. Edwin’s story of faith had already been forged in the fires of affliction. He lost his father while only 10 years old and spent his teen years separated from his mother, who was struggling to care for Edwin and his brothers. While a young man of just 21 years of age Edwin fell in love and married for the first time. Edwin and his wife Sarah quickly had a son, whom they named Edwin, Jr. But when Edwin Jr. was only six months of age Sarah died, casting Edwin Sr. into a spiritual crisis. Having lost his father at such a young age and now a young wife while just starting life, Edwin turned to his mother for guidance. She taught him the Gospel of Jesus Christ, most recently acquired through her own conversion to the LDS Church. Together with his mother and a younger brother, Edwin trekked west first to Winter Quarters, Nebraska before joining the massive company of more than 1200 pioneers headed to Utah in 1848. Along the way he found another bride, also named Sarah, and married her. But Edwin would later marry yet again, and it is from this third marriage that William Westover was born. William’s mother was born in Scotland. She came to America with her parents in 1856. Also Mormon converts, they traveled west in the 2nd company of handcart pioneers. Her name was Ann Findley and she was just 17 years old. 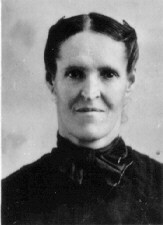 Upon settling in the Big Cottonwood area of Salt Lake City near the Westovers, Ann became the plural wife of Edwin in 1857. To them was born first a daughter, Emma Jane, in 1858. Second came William, in 1861. William’s life as the pioneer son of Mormon converts in Utah was tough. Split between the very different worlds of southern Utah and northern Utah, Edwin and his families knew hardships while trying to carve civilization out of the wildness. From herding sheep to growing cotton in Utah’s Dixie, the families of Edwin Westover moved frequently as Church missions, temple building and pioneering projects kept them busy. Called home to Mendon, Utah due to the unexpected death of her brother, Ann Findley Westover took her small children to attend his funeral and to attend to the needs of her aging parents living in Cache Valley, Utah. Pregnant with their fifth child, Ann decided to have the baby in Mendon. Edwin came to Mendon in 1870 long enough to meet and bless this newborn child before engaging on yet another Church assignment in southern Utah. He would never see Ann or their children again in this life, passing away a few years later while preparing to travel to a new mission in Northern Arizona. This effectively made young William the man of the house and great were the burdens and responsibilities he bore as he worked alongside his mother to support his younger siblings. In Mendon was another family of proud Mormon background headed by William Rowe, a former member of the Mormon Battalion. Born to William Rowe and his wife Elizabeth Murdock Rowe was their fourth child, Ruth Althea, while they were living in Parowan, Utah. They later moved to Mendon, which the family helped to established. Ruth and William met sometime in the mid-1870s and they courted for seven long years, an unusual practice at the time. No doubt their long courtship was influenced by William’s need to help his mother support their large family. They married finally in 1883 and had their first child, a son, William Earnest, in Mendon. They left for a couple of years to work in Idaho but came back to Mendon and had another child, also a son, named Arthur Edwin. After Arthur was born they staked a claim for land in what is now Rexburg, Idaho – a place they would call home for the rest of their lives. Conditions were rough and great sacrifices were made to scratch out a living in Rexburg. Over the course of several years several more children would come into their lives – Floyd Delbert, Ray Findley, Hazel Ann, Arnold, Zena Althea, Myrtle Elizabeth and Lorin. The hard fought life of William and Ruth in Rexburg meant a rugged existence for the short remaining days of their lives. William died unexpectedly in 1904 at the age of 43 and Ruth followed just ten years later. But their legacy of love and faith was enough to convince their children, grandchildren and others of future generations to preserve their memory through the continued operation of the old Westover homestead of Rexburg that William and Ruth pioneered – the Westover Family Ranch. Today the ranch is a gathering place for Westovers connected to William and Ruth so that family associations remain, reunions are held, histories are shared and the memory of William and Ruth and their storied ancestors are remembered and celebrated. This brief history was contributed by Jeff Westover of Westover Family History, William and Ruth’s great-great-grandson and is based on family accounts of the lives of William and Ruth Westover written in the early 20th century.